On August 8, 2007, I posted here a guest blog entry on the possibility that our observational estimates of feedbacks might be biased in the positive direction. Danny Braswell and I built a simple time-dependent energy balance model to demonstrate the effect and its possible magnitude, and submitted a paper to the Journal of Climate for publication. The two reviewers of the manuscript (rather uncharacteristically) signed their names to their reviews. To my surprise, both of them (Isaac Held and Piers Forster) agreed that we had raised a legitimate issue. While both reviewers suggested changes in the (conditionally accepted) manuscript, they even took the time to develop their own simple models to demonstrate the effect to themselves. Of special note is the intellectual honesty shown by Piers Forster. Our paper directly challenges an assumption made by Forster in his 2005 J. Climate paper, which provided a nice theoretical treatment of feedback diagnosis from observational data. Forster admitted in his review that they had erred in this part of their analysis, and encouraged us to get the paper published so that others could be made aware of the issue, too. And the fundamental issue can be demonstrated with this simple example: When we analyze interannual variations in, say, surface temperature and clouds, and we diagnose what we believe to be a positive feedback (say, low cloud coverage decreasing with increasing surface temperature), we are implicitly assuming that the surface temperature change caused the cloud change  and not the other way around. This issue is critical because, to the extent that non-feedback sources of cloud variability cause surface temperature change, it will always look like a positive feedback using the conventional diagnostic approach. It is even possible to diagnose a positive feedback when, in fact, a negative feedback really exists. I hope you can see from this that the separation of cause from effect in the climate system is absolutely critical. The widespread use of seasonally-averaged or yearly-averaged quantities for climate model validation is NOT sufficient to validate model feedbacks! This is because the time averaging actually destroys most, if not all, evidence (e.g. time lags) of what caused the observed relationship in the first place. Since both feedbacks and non-feedback forcings will typically be intermingled in real climate data, it is not a trivial effort to determine the relative sizes of each. While we used the example of random daily low cloud variations over the ocean in our simple model (which were then combined with specified negative or positive cloud feedbacks), the same issue can be raised about any kind of feedback. Notice that the potential positive bias in model feedbacks can, in some sense, be attributed to a lack of model complexity compared to the real climate system. By complexity here I mean cloud variability which is not simply the result of a cloud feedback on surface temperature. This lack of complexity in the model then requires the model to have positive feedback built into it (explicitly or implicitly) in order for the model to agree with what looks like positive feedback in the observations. Lets say there is a weak negative cloud feedback in nature. But superimposed upon this feedback is noise. For instance, warm SST pulses cause corresponding increases in low cloud coverage, but superimposed upon those cloud pulses are random cloud noise. That cloud noise will then cause some amount of SST variability that then looks like positive cloud feedback, even though the real cloud feedback is negative. I dont think I can over-emphasize the potential importance of this issue. It has been largely ignored  although Bill Rossow has been preaching on this same issue for years, but phrasing it in terms of the potential nonlinearity of, and interactions between, feedbacks. Similarly, Stephens 2005 J. Climate review paper on cloud feedbacks spent quite a bit of time emphasizing the problems with conventional cloud feedback diagnosis. Until that progress is made, I consider the existence of positive cloud feedback in nature to be more a matter of faith than of science. Since their discussion forum is closed, I’m sure that they won’t mind if we discuss it here. This entry was written by Stephen McIntyre, posted on Dec 30, 2007 at 7:36 PM, filed under Modeling. Bookmark the permalink. Follow any comments here with the RSS feed for this post. Both comments and trackbacks are currently closed. Thanks Dr. Curry. Glad to see georgia got some rain. Have a happy NY. That paper, after a quick glance, seems worth looking at more closely. Nevertheless, I can’t suppress the urge to resist the word “definitive”. I makes me uncomfortable. But that’s a personal problem. If Dr. Curry says definitive I belive her. Mike, the deeper I go in, and the more confused I get. So then I’d have to admit, given the scope and deep technical nature, it sure does seem to be pretty definitive (shudder, I’m still suffering). Anyone wanna help me understand the meaning and implications better? This got way over my head when I started seeing sigmas. And I think it’s a “from” rather than a “both” to start the second line. Andrew: Maybe Dr. Curry could help. I was a trouble shooter while I worked and learned to read between the math. I found the paper gave me a better understanding of climate interactions and the limitations of GCMs. The most uncertain of the individual feedback gains must be that to do with cloud feedback. The range shown above is virtually all in positive feedback territory (higher temperatures involve less cloud), which is intuitively a bit suspicious. After all, higher temperatures go with more water vapour in the atmosphere. Unfortunately the matter is completely inarguable since there is no direct experimental evidence one way or the other. Platridge quotes Bony, S. et al. (2006): How well do we understand and evaluate climate change feedback processes? J. Climate, 19, 3445-. So the reverse causation argument was lurking in 1993. Bony makes some interesting arguments. He seems predetermined that temp changes cause cloud changes, but is puzzled. These observations are contributed here to show how the science is not settled. Virtually all references in the trail I followed stressed uncertainty in physics but the obligation to tweak GCMs so they stay in reasonable bounds. This url will add some complexity to the existing problem concerning clouds discussed above. Surely this (and Spencer’s previous paper and posting) are right at the heart of the matter? There are some things that no-one doubts: that warming is occurring since about mid 19c, that CO2 absorption of IR will cause some atmospheric heating, and what the amount of heating is that is due solely to the existence of increased atmospheric IR. So far we are in the realm of either undisputable physics or undisputable history. In the case of the physics there is no argument about how much a given increment of CO2 in itself warms. In the case of the history there is some reason to dispute the size and unprecedented nature of the recent warming, but there’s no reason to dispute that quite a bit is happening. However, what you need next to get to strong forms of AGW is feedback loops to amplify the CO2 effect. These are absolutely essential. So if I understand correctly, Spencer is suggesting that the water vapor feedback loops are an artifact of the measurement process, and that their existence is at best unproven. If true, and if the sort of measurement process he suggests proves either that they do not exist, are negative where theory says they should be positive, or that they are otherwise different from hypothesized, its a big bang. Its at least as big a bang as the demolition of the hockey stick. You cannot have alarming AGW without feedback loops. This is going to get very interesting in the next little while. Seems that proxy reconstructions on CA have entered a period of diminishing returns, but this one would really be worth serious focussed attention. I always read about a positive feedback. A doubling of Co2 will lead to higher temperatures from 1 to 4 degrees Celsius in 100 years. Changes in cloudcover are responsible for 0 to 3 degrees in this calculation. But what about a negative feedback? If we have 30 ° C in summer, more Co2 may lead to 31 ° or perhaps to feedbacked 33 °. Heavy clouds in summer lead to 15 ° C. Long cold summers are sometimes 15 ° colder, like this year in Europe. But what would a global change in negative feedback cloudcover mean? Isn’t a natural variability of cloudcover much more important than any influnce of greenhouse gases could ever be? There is a difference in local heating of 1 to 4 degrees C from Co2, but a difference in cooling from clouds alone of – 1 to – 15 degrees C.
Is this idea absolute nonesense? I nearly never hear or read about this problem. I find the entire argument about water vapor and feedbacks interesting. I live on the edge of a large lake on the Tennessee river. After dark the temperature goes down as one would expect but from about four hours after dark to about 7 hours after dark the temperature rises when there are no clouds out as the water is radiating thermal IR back into space. My temperature sensor (Oregon Scientific) is accurate to tenths of degree but the magnitude of the rise is several degrees. On cloudy nights the rise is not as much and it lasts longer. This would seem to me to be basic thermodynamics. At night when the sky is clear the water is radiating directly into space without any or at least not much CO2 feedback. When there are clouds, the clouds are much warmer than space and therefore the radiation is tempered as the gradient is not as high as when radiating to space. In the above, there is very little convection involved, mostly direct radiation. I understand this well in my design of spacecraft as a spacecraft radiating toward the 20C earth albedo stays much warmer than a spacecraft radiating toward the 4 degree kelvin universe (at night). To me and my engineer/physics training there is nothing unusual about this and yet too many people take radiative energy transfer as some kind of mysterious process. I also take issue with definitive statements about CO2 effects but that is OT to this thread. In addition, those mysterious particles being observed might actually be electrically charged particles or ions surrounding the clouds. What else could they be? Dumb Holes? Paraphrasing that memorable line in the movie “Analyse That” – “Cloud Chamber”, Cloud Chamber!” (instead of Pant suit). Since no one is looking for charged particles surrounding clouds, no one would be measuring it either, so the bewilderment over the nature of those pesky particles being detected is to be expected. The real issue is where the paradigm change occurs in our lifetimes or our children’s. It has been largely ignored  although Bill Rossow has been preaching on this same issue for years, but phrasing it in terms of the potential nonlinearity of, and interactions between, feedbacks. Similarly, Stephens 2005 J. Climate review paper on cloud feedbacks spent quite a bit of time emphasizing the problems with conventional cloud feedback diagnosis. I quoted Bill Rossow’s paper on non-linear multivariate climate feedback at RealClimate a while ago (a few months), but to the best of my knowledge , Gavin, et al, didn’t respond to the problems raised by Rossow/Aires in their paper. I assumed only one conclusion from the non-response from Gavin and RC team and that is none of them has any understanding of control theory to the depth that Rossow described in his paper about multi-coupled non-linear climate feedback. Big story on the TV news in Australia tonight is the weather. We have cold fronts impinging on the south west, a big low off the North East coast producing strong winds and giant sees, heavy monsoonal action in the Northern Territory and a tornado off the North west coast. Floods down the East coast from recent thunderstorm activity. All of this is accompanied by very high humidity and lots of cloud cover. There is a trough running from north-west to south-east that is reversing the usual trade wind flow and in the process producing massive heating of Adelaide and Melbourne. All this is symptomatic of the collapse of the Hadley cell and the convectional process that usually straightens out the circulation system and tends to reduce humidity by swift and relatively well ordered ascent to the top of the troposphere via a string of low pressure cells located close to the equator. Currently those cells a poorly defined and the pressure gradients seem to be slight. I suggest that the tropopause will also be relatively low. What else would one expect in a La Nina when there are negative sea surface temperature anomalies developing along the Equator in all major oceans? As a result we have many diverse centres of convection over the land as the land takes over from the equator as the source of heat to drive uplift. So, where I am on the south west coast we have lots of cloud and cool temperatures most of the time, rainfall persisting into early summer from the frontal systems and periodic swings to massive heat that sets local records for this time of the year. This is a cloudy year. It will also be a cool year across the tropics and that lack of warmth in the ocean will be felt in the high latitudes of the northern hemisphere in six months to a year as the extent of thermal transfer from the oceans falls dramatically at high latitudes. Its almost poetry. Hope its a bit more meaningful than the lyrics above. This is a pattern that seems to repeat at the approach to solar minimum and it is associated with low geomagnetic activity. More on the Svalgaard thread. Roy Spencers suggestion is very apt. It fits La Nina circumstances perfectly. However, we can not generalise. Climate is latitude and location based. The really interesting dynamic is what is happening in the big trade wind rain shadow zones to the East of the Corilleras of the Americas. They are currently showing marked negative anomalies. I wonder why? Is it a big upwelling of cold water or an increase in cloud cover that is responsible? This (Spencer) paper has been accepted conditionally. The August paper I don’t think was ever freely available. I am a skeptic of the mainstream consensus of AGW. However, there seems to be a clearly measured signal of human activities influencing the weather patterns according to a German study. They change weekly from driest and warmest on Wednesday to coolest and wettest on Saturday, as measured both around cities and on a mountain. It is in German but the graph tells al lot. Simply spoken, there is the lowest cloud cover on Mondays, the highest temperature on Wednesdays, and the wettest and coolest weather on Saturdays. The weekly temperature variability is thus 0.3°C. Feedback is an interaction among processes in a system in which a change in one process triggers a secondary process that influences the first one. A positive feedback intensifies the change in the original process, and a negative change reduces it. Feedback process is ambiguous; a single arrow is not a feedback process, and a collection of processes is not a feedback unless they contribute to a closed feedback loop. A feedback cannot be observed. Variables are observed. Correlation between variables says nothing about causality. Direction(s) of causality between variables can (at best) be inferred probabilistically. Some causation processes are represented explicitly in models; others are indirect results of nonlinear processes. In a chaotic, nonlinear climate model with 107 109 degrees of freedom, we do not know how to evaluate the feedbacks. It is not possible to unambiguously separate individual feedback loops. Estimating feedback through equilibrium simulations of GCMs, linear analysis, or analysis of vastly simplified models can be misleading. It is not possible to identify the most important feedbacks. Cloud feedback is regarded as a very important climate feedback. In a complex nonlinear system, a large forcing does not necessarily translate into a large and important feedback. If plausible projections can be made with different signs of the cloud feedback, it is possible that cloud feedback is not important. LESSON: Do not confuse forcing with feedback. Snow/ice albedo feedback is regarded as a positive feedback. However, one study of tropical convection suggests a negative water vapor feedback. While this study is very controversial, the relevant point is that we do not know how to unambiguously discriminate between the two opposing theories. How can we productively use the concept of feedback to understand and model climate variations? 1. Use our understanding of physics, chemistry, biology construct feedback diagrams or causal graphs. 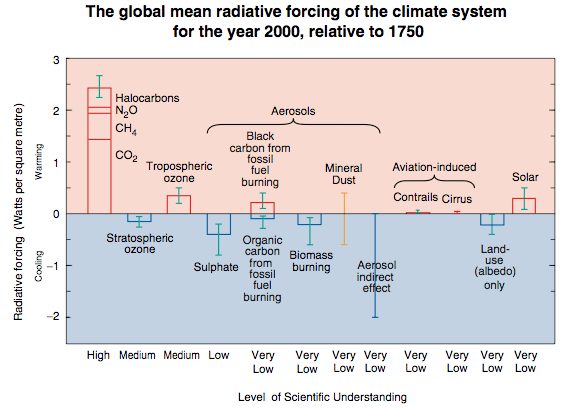 Such diagrams aid our conceptual understanding of the climate system and its subsystems. Examine the evolution of model processes over short-term modes of variability (e.g. the annual cycle) and compare with a carefully constructed set of observations. Compare model results with observations in the context of the covariance of variables that are related in a feedback loop. Conclusions regarding the appropriateness of one parameterization vs another depend on the model that is used to evaluate it. Investigation of the parameterization in a hierarchy of different models is needed to understand the impact of the parameterization and its role in the modeled feedbacks. Nonlinearities arising from the coupling requires additional attention to both the modeling aspects of the coupling and observations with which to evaluate the coupling. The let me suggest we move weekends to Monday and Tuesday. Oh this one is easy to explain. On Mondays when people go back to work nature laughs in their face by providing a beautiful day to ponder while the wage slaves work inside. As you progress to Wednesday, the people are ticked off and so this anthropogenically derived thermal layer expands and reaches its highest point on Wednesday, called hump day (due to the empiric understanding of the German study’s temperature maximum in mid week). As you move toward the weekend people are getting happier, looking forward to a lot of good German beer and the anthropgenically generated heat from being ticked off at being at work dissipates. This drives a dramatic decrease in temperatures (your 0.3 degrees c) which leads to rain on saturday, which as most good Germans do, just laugh it off and head for the beer. The process repeats on Monday. Gotta lighten the mood here sometimes. Meaning we really don’t know squat about cloud effects and therefore can’t competently include them in models. The lapse rate is the lapse rate. Convection adjusts to maintain it. The lapse rate is the same on all the planets (actually all objects with an atmosphere) in the solar system. Increase water vapor, CO2, or other ghg’s, and that will increase convection, increasing clouds. This is also why the dogmatic approach fails, as Spencer notes. A thermodynamic look shows increasing temperatures are the *result* of decreasing cloudiness – aka decreasing precipitation/evapotranspiration, the key being latent heat migrating up the troposphere. Good kick-off post, to set some definitions and ground rules. I would like to suggest moving some of the relevant posts on Unthreaded over here, where I think they would stimulate the discussion. Specifically, the points made by AGW proponent Arthur Smith and corresponding responses. Spencer mentions the review of his submission by Isaac Held. I want to note that Held, and his sometimes partner Brian Soden, do quality work. I admire their practices. They do not shy away from stating the limitations of their studies and they politely entertain alternate views (even though some likely test their patience). At the same time, they hold firmly to what they think, which I believe can be described as largely consistent with IPCC views. They are good scientists. I would rather describe the Stephen’s differently – the most “important” paper or “comprehensive” paper or something. “Definitive” makes it sound as if cloud feedback is completely understood and all uncertainty has been removed. Spencer’s August paper is available here. Judy’s comment that Stephen’s paper is “definitive” is very misleading…as Ron says, it was the most complete treatment to date, but as the subtitle of Stephen’s paper (“A Critical Review”) indicates, it was far from advancing the view that we understand cloud feedbacks. It was, in fact, a thinly-veiled warning to others that what they have been calling “cloud feedback” might, in fact, not be. It took me months before I realized that Stephen’s discussion about the importance of how we view the “climate system” in its operation is EXACTLY the same point we make in our new paper. 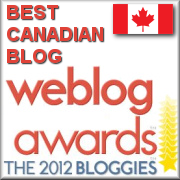 Steve, maybe you can copy my entire post from Pielke’s blog? Otherwise, it will be difficult for people to discern the context of my comments. So the point seems to be that it’s complicated and needs to be studied much more? I’m afraid I’m a bit out of my depth, however I think that this discussion is very valuable. My question is: Do the observations made by these papers reinforce either the view cloud feedback is, on balance, positive or negative? Or do they just show that statements like these need to be taken with a grain of salt? I wonder whether ocean water circulation in the arctic has anything to do with PDO. I recall a recent paper stating that the arctic ocean flow has recently reversed. Also, the well-known recent melting of the arctic sea ice. Could it be that warm water from the Pacific has recently started flowing north through the Bering strait into the arctic? This would stabilize the PDO in an El Nino mode. It would also mean cold water is flowing southward past Greenland. Pure speculation. I place myself at the mercy of the zamboni driver. Oops – the previous was posted to the wrong thread. Meant to go to Svalgaard #2. Sorry! At night it’s radiating into ghgs at substantially higher than space temperature, clouds of course will radiate at a much broader spectrum than the limited bands of the gases. Peter: You earlier commented on some things that no-one doubts. The way to phrase that is that the sampled temperatures and calculated global mean anomaly has increased since then. We have no proof it accurately describes a physical process rather than just giving us a number that has increased since then. Do do I doubt warming has happened? Yes. Do I doubt the readings have increased? No. Yes, CO2 absorbing IR creates energy. Does that cause heating? There’s nothing to doubt; the answer is maybe. Nothing conclusive. Perhaps better to phrase it as we know CO2 reacts to IR at certain wavelengths and could help contribute to warming. Andrew, I’ll try to explain the issue we are raising with our paper. If surface temperature changes cause cloud changes (which then feedback on the temperature through their radiative effects), then the resulting observed cloud-vs.-temperature relationship can be expressed in terms of a feedback. But if the cloud changes actually preceded (and caused) the temperature changes, then the cloud-vs-temperature relationship will LOOK like a feedback, and if it is interpreted as such, it will ALWAYS be positive (it’s an energetic necessity…e.g.,the only low cloud cover change that can cause an SST increase is a decrease in low clouds, not an increase). So, to the extent that non-feedback sources of cloud variability exist in the real climate system, they will contaminate any “feedback-only” interpretation of the data, biasing it in the positive direction. This, then, leads to the building of climate models that have a positive bias in their cloud feedbacks. So, again, we see support for G. Stephen’s emphasis on the importance of knowing what kind of system we are looking at, since it will influence how we infer cloud feedbacks from the observations. In our modeling study, we found that if we used model inputs that produced model variability that matched CERES SW variability and TRMM SST variability, then the errors in diagnosed cloud feedback generally ranged from 0.5 to 1.5 W m-2 K-1. I’ll post our paper at one of my websites on Wednesday when I get back to work. Thanks, Ron Cramer. I will read that. Even more specifically, what are the “conditions” of acceptance in the journal? Are they asking for some step back from the claim that the Iris theory is “nominally supported”, as I think you put it? As you describe it here it seems that in the final analysis, even corrected for your observations, cloud feedback could well remain positive. Thanks Roy. That’s much clearer. Existing parameterization of cloud amounts in GCMs are physically very crude. When empirical adjustments of parameters are made to achieve verisimilitude, the model may appear to be validated against the present climate. But such tuning by itself does not guarantee that the response of clouds to a change in CO2 concentration is also tuned. It must thus be emphasized that the modeling of clouds is one of the weakest links in the GCM efforts. The reviewer’s concern was more like, “we don’t really know whether this effect is significant or not”. But our modeling suggested it could be quite substantial (see my previous post). Obviously, the importance of the issue requires other researchers to examine the problem, too. The bottom line message to me is this: Any pronouncements that we now know the range of climate sensitivity to GHG emissions have implicit in them unwarranted assumptions about how much we know about the functioning of the climate system. No, I’m afraid your not understanding, lib, (by the way, did you see the offsets Anthony got you? ), Roy is suggesting that instead of being caused by the warming, cloud changes may be the cause of warming, or part of it. It would therefore be not a feedback, but a forcing. Ou’s paper discussed here may also be relevant in this context. I’m finding this an interesting topic; on the other hand this is certainly something I haven’t read in detail enough to feel competent to comment on at this point. My gut question is – why would there be any trend in cloud cover other than as a temperature feedback? But I’ll need to spend a while reading Roy’s and Graeme’s papers and get back on this later. Happy New Year folks! Arthur, are you familiar with the idea that cosmic rays influence cloud formation? Nir thinks a downward trend in cosmic rays would mean fewer clouds, and therefore warming. I’m not sure exactly how it is supposed to work but there have been experiments on this. Check the site. Andrew (#47) – yes I’m familiar with cosmic ray arguments. But as far as I’m aware, there is no sign of any significant trend in cosmic rays – there’s the solar cycle, but it’s just a (11- or 22-year) cycle, not a trend. Also, any trend would be much smaller than the upper and lower bounds of the cycle, and those already show only a small effect on clouds (if any). If that’s what Roy Spencer’s basing the whole argument on, it’s pretty shaky ground. Stephens emphasis on the importance of knowing what kind of system we are looking at, since it will influence how we infer cloud feedbacks from the observations. To Dr. Spencer, Dr. Curry and others who are involve in climate research, I want to bring to your attention about the topic of System Identifications techniques (or SysID for short). SysID is popular in engineering design, especially by control systems engineers. I used to be one (electronic switching controller designer) in a previous career but I now write software for a living these days, although I still use some of the SysID algorithms in commercial application development that I do today (financial market feed-backs). SysID is very useful, when you don’t know anything about the system structural functional relations, ie, you don’t know how many variables in the system and how are those variables are interconnected (as a dynamical sub-systems blocks). These are different or say structural representation of the same functional mapping of x –> y, where for all x , equations 1 to 3 have exactly the same output. Eg, if x = 1, then y = -2 in all 3 equations. The example is just the same as the transfer function example described earlier that is being identified via SysID. You can re-arrange the block diagram in various feedback configurations (to experiment with), however these different configurations still conform (frequency-domain or time-domain) to the functional mapping Y –> G*X.
Matlab is the best tool for modeling control systems since it has a Control System toolbox available. Matlab also has a System Identification toolbox and it is quite advanced. You can do both linear and non-linear identification using the Matlab SysID. Also, Matlab has the Simulink extension, where it makes the job easier by drag & drop block diagrams in the model space, then click ‘simulate’. For those in this list (climate researchers), who have matlab but have the SysID toolbox, the following software is a non-linear matlab system identification which is freely downloadable. It doesn’t require any other dependent matlab software. The authors has a book which goes with the software. The best book (theory & algorithm-wise) on the subject is by Lujung, System Identification – Theory for the user, which could be available from any online bookstore. This book is widely used for courses in engineering control these days. For Java developers, there is a nice free tool here (System Identifier) that you can use. I have only seen perhaps 2 or 3 papers in the climate research literatures, that the authors used SysID techniques in their analysis. Shaviv claims there is a trend in the 10eV cosmic rays that are the source of cloud cover effect even though solar irradiance is flat. The Savlgaard thread has a link to a study that has discovered a trend in cosmic rays that are not related to the sun (Search for “can of worms”). Roy’s hypothesis has no relationship to the cosmic ray hypothesis. Here goes – I’ll pretend that I’m a climate modeler. I need to model cloud behavior. I look at data and observe that, from 1980 to 2000, the SST rose by 1C while ocean cloud cover decreased by 10%. I assume that the 1C SST rise caused the 10% cloud decrease. So, I build this assumption into my model. This assumption results in more sunlight reaching the ocean, which warms the ocean, which (due to my assumption) causes a little more cloud decrease, which causes a little more additional sunlight to reach the ocean, which causes a little more additional warming, and so on to a point of convergence. But, suppose my assumption was wrong. Suppose that the 10% decrease in cloud caused the 1C rise in SST, not vice-versa, and that, in reality, cloud cover is unaffected by SST. If my assumption was wrong then I have, in error, incorporated into my model a positive feedback that doesn’t exist and I’ve overestimated global warming. And, part of the reason that I made a bad assumption is that I looked at “coarse” (time-smoothed) data, which hides the actual nature of the SST/cloud relationship. The physics behind galactic cosmic rays creating low-level clouds is well understood because of the experiments done by Svensmark at the Danish National Space Center. The party line coming from RealClimate is that no trend exists with GCR, so I can see you have been exposed to the party line. However, the chart here seems to indicate a pretty good correlation between cosmic ray intensities and low level cloudiness over the last 20 years. Svensmark is working closely with Nir Shaviv at Hebrew University in Jerusalem and Jan Veizer at University of Ottawa. They have kind of banded together to call their work “cosmoclimatology.” Whether they are right or whether the correlation is spurious, I do not know. BTW, I don’t think Spencer is basing his observations on GCR at all. He has identified the negative feedback he found as the “infrared iris effect” hypothesized by Lindzen. Just like the bacterial basis for peptic ulcers did not exist…for the twenty years that those two Australian researchers were trying to get others to listen to them. Of course we tend to suspect CO2…that’s something we know about, since we’re the ones producing it. And yet, precipitation systems are ultimately controlling how much greenhouse effect there will be on the Earth. Who is looking into possible reasons for slight changes in them? Precipitation processes are, by FAR, the the strongest controller of the Earth’s greenhouse effect. My gut question is – why would there be any trend in cloud cover other than as a temperature feedback? Not directly, Raven, but this is the question I was trying to address. As you said, Nir argues that there is a trend, but I don’t know enough to get a sense the significance. Still, we wouldn’t want to make the mistake of thinking that there is no possible reason for changes in clouds other than temperature. Re #58 David, the way clouds are currently parameterized in climate models, there is no way to build into the model an assumption like cloud fraction decreases 10% if surface temperature increases by 1 degree. The “tuning knobs”, if you will, that are available to modify the cloud properties in climate models are the specification of the threshold grid scale humidity for the onset of cloud formation (possibly different for ice vs liquid clouds), the treatment of particle fall speed, several tunables in the convective parameterization, the way in which cloud phase is determined to be liquid or ice (or mixed), and the thresholding for onset of rainfall/snowfall. So relationships like cloud fraction decreases 10% if surface temperature increases by 1 degree are used to evaluate climate models, not as input into climate models. if the climate model disagrees with the observations, then it is not straightforward to figure out what part of the model to “fix”: the problem may be the ocean dynamics influencing sea surface temperature, problems with the atmospheric dynamics, problems with the surface flux parameterization or the boundary layer parameterization, or problems with aspects of the cloud parameterization itself. Climate models have become very complex and have substantial physical basis in the parameterizations, but the parameterizations do introduce errors owing to neglected degrees of freedom in the parameterization or coarse resolution. So it is actually fairly difficult to “tune” a climate model to give a specific result in terms of a relationship between two internally determined model variables. Other than “tweaking” parameterization elements such as described above, the only way you can tune a climate model is with the external forcing (and aerosols are the only realy wiggle room you have). The cloud parameterization problem in climate models is so difficult owing to the complexity of the scales of the problem (from the scale of a micron sized drop to to scale of a tropical or extratropical storm system), with a model resolution that is order 100 km. P.S. the word “definitive” was used in the sense of defining our current understanding of the problem, not to imply the problem is definitely solved. Oops, that first line should be before the quote box. Sorry. My point was this, Arthur seemed to be suggesting that we have no idea what could possibly have caused the change in cloud cover other than temperature. I offered a possible explanation. So what’s different about Spencer’s clouds? They are still clouds, right? Thank you for mentioning the PDO. I was convinced (very unscientifically, of course) that the PDO must play an important role in climate when I matched up the PDO’s warm phases and cool phase in the 20th century to the global temp record. From 1905 to 1945, the PDO was in the warm phase and the Earth’s surface warmed. From 1945 to 1975, the PDO was in the cool phase and the Earth cooled. From 1976 to 2006, the PDO was in a warm phase and the Earth warmed. Is the coincidence? I don’t know. But I know something happened in the oceans in 1975/76 and climate shifted. Based on observations Bratcher and Giese made in the Pacific in 2002, they published a paper predicting the PDO would shift in about four years and and that it would dramatically slow global warming. It looks like they were right. The oceans must play an important role since ENSO has such a big variability on precipitation. I need to learn more about these processes. Can you suggest a link that would provide a good exposition? Re #56 Thanks, Judith. I think the bottom line is that I need to read the paper and think about it all. I can’t completely follow the line of thought in #38, probably due to the idea being hard to simplify and to my unfamilarity with the topic. Isn’t the point that that’s putting the cart before the horse? Historically, as Svensmark et al are illustrating, muon flux biases cloud formation which biases temperature via albedo and latent heat. So, the correct concept is that temperature increased if cloud fraction decreased – in the paleo record. That was a completely different mechanism and has *zero* correlation with the current situation. Now, modifications in cloud formation due to increases in ghg concentration will, unlike previously, increase convection to maintain the lapse rate as a first order response. #59 Ron Cram, you (and other skeptics, I’ve noticed) talk about PDO and ENSO almost as if these processes are unrelated to GHG/AGW so-called “trend”. But my understanding is that these are primary pathways through which globally accrued heat is regionally dissipated. In which case it does not make sense to suppose that they are “internal” and therefore independent from “external” forcing effects. I can look up sources. Although Judith probably knows better than I do what I’m talking about. Steve Hemphill, if by will you mean may, then yes. There isn’t necessarily any compelling reason to think that suddenly the old mechanisms will no longer have an effect on clouds, or that new ones will dominate. Anyone think I’m wrong? Love to see the evidence. Zero is a bit of a stretch, and I don’t know where you get that from. See Ron’s link. Excellent point, bender. Which makes one wonder: which is the primary direction of influence? Do temperatures depend on these processes more or the other way around? I think there is evidence that they both act on one another. One of the reasons I have this opinion is the PDO began to warm the Earth in 1905, a time when CO2 probably did not play any role in atmospheric warming. Also, when the PDO went into its cool phase in 1945 or so, CO2 was just beginning to rise in earnest. Yet there is no correlation between rising CO2 and temperature at the very time the climate should be the most sensitive to it, early in the logarithmic curve. The big problem with the current state of climatology is this assumption the climate does not change and any change must be attributable to man. That is completely non-sensical. Climate scientists have gotten away with it only because the appeal to the cooling impact of aerosols which everyone agreed could not be quantified. Now Petr Chylek has found a way to quantify the climate’s sensitivity to aerosols and found the impact is very low. This leaves much more room for natural climate variability, including the PDO. Chylek’s paper (and Schwartz’s who has already published on CO2 and is currently working on climate sensitivity to aerosols) will change the way scientists view natural variability. It will take some time and the Hockey Team will scream and drag their feet the whole way – but it will happen. Look at the situation with the Northwest Passage that opened up this year. Climate scientists were making ridiculous claims about coming doom and polar bears going extinct. None of the alarmism had any historical perspective. The Northwest Passage had opened up in 1905 and 1944, both times the sea ice came back the next year. Now newspaper articles are saying the arctic ice is refreezing at a “record” pace. It is only a record because we did not have satellite measurements in 1906 or 1945. What we are seeing now is, most likely, exactly what happened twice before. Still, if there is something you think I should read – let me know. I’ll locate the papers I have in mind. But when you say “the PDO” heats the Earth, can you clarify. The PDO is not a thing, it is a flow. So what is it putting the heat into PDO in the first place? Wouldn’t be the first time IPCC is wrong. Do you have document/page refs? My understanding of the PDO is not nearly where I would like it to be. But surely you know it is common to speak of the PDO’s “warm phase” and “cool phase”, right? Wikipedia has an introduction to the topic. My understanding is the PDO has a flow that releases heat to the atmosphere during its warm phase by having more warm water on the surface. During its cool phase, the waters are cooler and the oceans trap heat from the atmosphere more efficiently. Is my understanding oversimplified? I’m sure it is. Above, Spencer expresses his view the PDO plays a role in precipitation processes which would be second mechanism. And there may be other mechanisms at work as well. Which of Ron’s links are you referring to? And, I did mean “will”. I did not say the old ones will have no effect, and I did not say the new one will dominate. However, the new one (large, sustained increase in ghg’s) is different and we know it will have some effect. Previous to this temperature changes lead CO2 changes. If that effect is only to increase convection and therefore precipitation or albedo and does not noticeably affect temperature is unknown at this time, and the effect may in fact be entirely within the noise, the level of which is still largely in question. However, to this point the differences Roy, Svensmark, Shaviv, et al allude to are unrecognized in the modeling community, and the models are now recognized to be completely out of touch with reality. Graeme Stephens has written in far greater detail and authority on his subject than I ever could, but I’d hardly call the paper “definitive”. The reason is that the paper is a sea of figures in search of an answer. It is not novel to emphasise that natural systems can be complex and it is hardly novel to suggest that present climate models are comprehensive, correct or acccurate. There is a need for examination of special cases where the maximum number of variables are put aside and interactions are studied with the least complexity that can be devised. part to a reduction in CLW (Cess et al. 2001). We have an identified part of the ocean where the SST hardly changes, but cloud cover does. There are likely to be more areas like this. Months ago I pointed to a part of Hawaii where there was near-constant cloud cover (correct me if I was wrong), being the other end of the spectrum of cases. Thus in determining what drives what, there might be examples already of places where many confounding variables are low to absent. What can one infer from said fig 5? That significant cloud change does not change SST? Or that changes extended beyond the bounds of the test area? Or that the obs need to be repeated and confirmed? Or that more similar areas need to be studied? Or that the reported effect is limited to this latitudinal band? Or that high cloud gives different answers to low cloud? Or that we can’t measure SST accurately enough? The point is, you can tie up supercomputers for hours to no avail if you can’t answer the above questions. No news there, Ron. I know all about the PDO. Like any circulatory mode (ENSO, NAO, etc), it is not an ultimate source of heat comparable to an external forcing. It is merely a pathway through which heat flows – heat gotten from elsewhere. It makes no sense to try to attribute global temperature change to flux through a heat flow pathway vs. an external forcing, say. It’s the medium vs. the message. Parasitic losses of heat through a pathway, now, that’s a different story. The correlation doesn’t seem to have disappeared to me. Regarding Judy’s point about feedbacks being the result of physical processes in the models (that is, feedbacks are not ‘specified’ in the model)…that is true…but it is just semantics. For instance, more convection should produce more cirrus clouds, right? Except that our August 9 GRL paper shows that just the opposite happens during enhanced tropical precipitation, based upon 6 years of intraseasonal oscillations. Oh, cirrus extent does goes up for a few days when tropical-average precip increases, but then it decreases for about 2 weeks, despite increasing precip rates! (either in absolute terms, OR when normalized by latent heat release, as Lindzen thinks should be done). (I think the behavior is related to an increase in tropospheric static stability, but that’s just a hunch). So, what climate model behaves this way, with cirrus clouds decreasing with increasing precipitation? Based upon Forster’s SW and LW feedback summary of the IPCC AR4 models, I would say NONE of them. Now the question is, will ANY modelers dare make the models so they DO behave like we see in nature? Well, Roy, the problem, as I sure you know, is that if they behaved like nature, then they would almost surely produce less frightening predictions. So probably not. But, perhaps I’m wrong. I’m willing to be surprised by a modeler who’s interested in reality. If what you say is true, why are El Nino years so much warmer? I mean, that is the reason everyone says 1998 was so exceptionally warm. That’s exactly what I’m saying. The solar connection is not modeled, correct? Of Satellite Temperature data versus the Southern Oscillation Index, inverted. Sustained negative values of the SOI often indicate El Niño episodes. These negative values are usually accompanied by sustained warming of the central and eastern tropical Pacific Ocean, a decrease in the strength of the Pacific Trade Winds, and a reduction in rainfall over eastern and northern Australia. The most recent strong El Niño was in 1997/98. Positive values of the SOI are associated with stronger Pacific trade winds and warmer sea temperatures to the north of Australia, popularly known as a La Niña episode. Waters in the central and eastern tropical Pacific Ocean become cooler during this time. Together these give an increased probability that eastern and northern Australia will be wetter than normal. The most recent strong La Niña was in 1988/89; a moderate La Niña event occurred in 1998/99, which weakened back to neutral conditions before reforming for a shorter period in 1999/2000. This last event finished in Autumn 2000. I’m not sure if the effect is as entirely one sided as you might think, though. Well, Steve, I would agree, if it weren’t for the fact that GHGs have been present in the atmosphere in varying concentrations since way before man kind. But they are recently on the rise, yes, presumably due to human emissions. And, also, the models consider other effects, but not all of them, I think. The biggest issue is that models might not do these effects properly at all, particularly their treatment of feedbacks. The connection to the sun is modeled, but only in terms of Total Solar Irradiance, which is just one way that the Sun influences climate. Cosmic Rays are still suspect as a meaningful effect, so they aren’t included (although I personally think they need to receive more attention). Re #74 My conjecture, based on observing the water vapor behavior shown on IR3 over the Pacific and Atlantic, is that robust tropical precipitation not only makes proportionally less cirrus but it also makes proportionally less residual water vapor after the cirrus disappears. My observation is that the water vapor “congestion” in the tropical upper troposphere is associated with weaker (what I call “lazy” precipitation) rain systems. Re #80 Let me rephrase: what IR3 shows is relative humidity and that is what tends to decline relatively quickly in association with robust tropical precipitation. I assume that either the robust thunderstorm outflow is sinking more quickly and/or it ascended to a higher, colder, drier altitude before beginning its descent. Interesting, David. I remember someone saying that Relative Humidity must remain constant if water vapor feedback is to be positive. So, then, it wouldn’t, you think? As far as we know, a rapid, sustained increase in ghg’s is new. That’s the difference. Yes, that is also true Steve. The rate is different than what we know the planet has experienced. We know the level is not, though, becuase the fossil fuels we burn had to have gotten it all the C from somewhere! And, of course, as you say the data is to course to make absolute judgments. Re #82 Andrew, my understanding is that the models assume that tropical upper troposphere (“TUT”) relative humidity remains constant. That means that, as the TUT warms, its specific humidity (water vapor content) rises in order to maintain that constant relative humidity. That higher water vapor content then causes additional warming, and so forth. This clear-air water vapor, which is what I watch, gets relatively little attention so far as I know but I wonder if it’s a big factor, especially in the tropical regions where the thunderstorm air radiates away its heat, cools and sinks. I’ve also wondered about what I call the “lumpy” nature of clear-air water vapor. Water vapor in the upper troposphere is heterogeneous and exists in high-humidity regions and low-humidity regions (see here ) . If increased GHG causes water vapor to increase in one of the milky-white high-humidity “lumps”, does it matter? If increased GHG results in larger and drier radiative regions (the downlegs of the Hadley-Walker cells) does that help a lot on heat removal? How does troposphere-stratosphere interchange affect the dryness? Is this troposphere-stratosphere interaction a place where solar factors play a role? Lots of interesting things to read and think about. Actually, I’m playing around with some options on that site. What Latitude would you consider “tropical”? Never mind. I screwed up, and figured out the tropics. I is indeed trending up in the right place. You know what? I reread your comment again and have I realize I had no clue how to get the relevant time series. Care to try? But does not convection increase with increased absolute humidity? Is that in the models? According to Kiehl/Trenberth 1997, about 100 w/m^2 is removed from the surface via convection (thermals and evapotranspiration). It wouldn’t take much of a change in that to offset the radiative heating increase from doubled CO2, correct? Roy has poimted to an interesting fact – “physical processes in the model”, as I assume described by Judith. No model can do that. The theory behind the ensembles is that the parameterizations are likely to be randomly wrong and that there are no systemic mis-paramterizations. One of the really interesting aspects of a recent realclimate thread on Soden and Held was the seeming astonishment of the GCM modelers when one of the amateur blog posters pointed out that the cloud feedback in ALL of the GCMs was strongly positive, whereas the proponents seemed to expect that some would be positive and some would be negative…….. The surprise of the modelers at the uniformity of the postive cloud feedback in the GCMs was startling anyway. Youd think that theyd have already known this. Does anyone know if it is still true that ALL the models treat cloud feedback as strongly positive? It hardly seems justified given the level of uncertainty surrounding the subject. yes, Michael, the last published feedback diagnoses of the IPCC AR4 models showed that all of them have positive cloud feedbacks. Now, they do range from weakly positive to strongly positive, but as Bob Cess admitted many years ago, this agreement between models might simply be because they are all doing the same thing wrong. Re #88 Andrew your choice for “tropics” (23.5N to 23.5S) is consistent with others’ definitions. I’ve seen 20N-20S, 24N-24S, 30N-30S and others, depending on what people are checking. The NCEP reanalysis data is of suspect quality, though. Most of the papers I’ve read select certain radiosonde data for their analysis, due to suspected problems with the radiosondes. There is also satellite-derived data but the data I’ve seen is coarse and doesn’t answer the important issue of geographical changes over time and magnitude, among other things. To me the question of upper-troposphere moistening is perhaps the most important unanswered question around. Re #90 Steve there’s a Powerpoint presentation by Soden or Held (I think) which walks through the issue of warming and precipitation, at least from their perspective. It may answer some questions. I’ll look for a copy and post the link. A few comments. The reason that the climate modelers were startled by the uniformly positive cloud feedbacks in the IPCC runs is that typically (previously) the cloud feedbacks have been all over the place. It is almost impossible to anticipate how the cloud feedback will turn out when you change an element of the cloud parameterization, since it interacts with so many things such as atmospheric dynam ics, atmospheric stability, boundary layer, etc. The biggest improvement of this new cloud microphysics parameterization is the treatment of cloud ice nucleation. I anticipate that this new parameterization will help with the convective cirrus problem that concerns Roy. Speaking of the tropical cirrus problem, there are two components: the microphysics scheme and the convective parameterization. Cloud resolving models with the new microphysics scheme give good results for the tropical cirrus, so main problem at this point is probably the convection parameterization (we’ll see if the new cloud microphysics parameterization helps this problem once incorporated into climate models). Parameterizing convection is the biggest challenge for climate models. Two new approaches are being tried: the socalled superparameterization, where cloud resolving models are embedded in each grid cell (hugely expensive computationally) and stochastic parameterization (this is the one that I am voting for to eventually succeed). Re the water vapor feedback, you only need to have absolute (specific) humidity to increase for a positive water vapor feedback, you don’t need relative humidity to remain the same. Re Lindzen’s iris hypothesis, this applies only to tropical deep convection, so it is not going to dominate the global water vapor feedback in any event. Satellite analyses done a number of years back did not support lindzen’s hypothesis, but it can be argued that the historical satellite data isn’t good enough to sort this out definitively. The new A-Train satellite with CLOUDSAT has good enough data of all the needed variables to sort this out definitively, i assume that someone is working on this. p.s. Happy New Year to everyone! Thanks David, I never now what data to trust these days. My definition of tropics came from an article of wikipedia. The internet is an amazing thing. 95, When you say “improvement”, how exactly is that measured? In what measurable way are they better? How does muon flux affect each method? It seems to me the climate science community should acknowledge there are still major challenges with models currently to try to get adequate computational power rather than take shortcuts parameterizing processes like convection we really know very little about. Also, again, how is this cause vs. effect question to be resolved in current models? The parameterization of cloud microphysics (which is the formation of cloud drops and ice particles plus rain and snow; this does not include the parameterization of convective or boundary layer dynamics) have taken a giant step forward in the past year or so (mostly since the IPCC 4 runs), and even the IPCC 4 runs had significantly improved microphysics parameterizations relative to IPCC 3. I would be intrigued if you would quantify what is meant by “significantly improved microphysics” when the recent paper by Spencer, Braswell, Christy and Hnilo shows that the effect of clouds in the tropics to be strongly negative in the real world, and the assessment of these “improved” IPCC 4 models by Douglass, Christy et al show all of them to be wildly out anywhere in the tropical atmosphere except the surface. What exactly is “improved” when the key forcing/feedback relationship in your models is the opposite sign to the real world and produces 300% more warming than the real atmosphere. What is the falsifiability criterion? fied by Fig. 1 based on a recent study by Hansen et al. comparison with observed global temperature change. Re #94 I haven’t found the Powerpoint presentation but here’s the paper which covers much of the same territory. Ron, I don’t have a reference (gave the book away), but I think if you look into Arctic exploration you will find a voyage c. 1828 that got within about 300 miles of Pt. Barrow from the east. In centuries of trying before and after, nobody in a sailing ship had gotten anywhere near that far west. There is a great article at accuweather about the gathering La Nina of historic proportions. Dr. Spencer, any comment on this? Download it to a spreadsheet, then graph it against global temp or global SST. Recall that the global mean SST is subtracted to free the PDO from AGW trends. The order of magnitude of the PDO tells me it has to influence the calculation of global temp and global SST. There are those who say it may not drive climate, but it has to impact its calculation. Note: I tried to post a group of SST, AMO, PDO, and IPO graphs today over at the Accuweather blog on EL Nino, but ran into a tech glitch of my own making. I emailed my notes and the graph to Brett and hopefully he’ll post it. Oops. Just had another problem with this antique I use. Hopefully, this won’t be a duplicate post. Regards to all. Happy New Year. Andrew provided some interesting links. Here are a few others. When Amundsen started in 1903, the ice had not completely melted but by 1905 it was open. In all more than 60 ships made the voyage in the 20th century. Apparently Time magazine from 1944 wasn’t available to the intrepid modern news writers of the BBC, etc. when crafting their stories of this summer’s ice free conditions. History, as we all know, didn’t begin until Kennedy. ‘Ice free’ is not the same as ‘navigable’ or ‘no pack ice’, ‘bad-reporting-about-northwest-passage’ seems to have been a good title. I read a more authoritative reference a while ago, but can’t find it now. The article is on the linkage between the earth’s magnetic field and that of the sun with magnetic “ropes” that influence aurora. In one 2 hour storm, this put 5×10^17 joules into the earth’s atmosphere, allegedly equivalent to a magnitude 5.5 earthquake. How relevant this is in magnitude is open to question, I don’t offhand have a good feel for the energy involved. I do know such things can look impressive but be irrelevant, as in the idea back in the day to dissipate hurricanes using an H bomb blast. Sounded good until you realize that the energy in a hurricane was several orders of magnitude higher, the storm wouldn’t even notice the bomb, but you’d have radioactive rain afterwards to contend with. So as I said, how much energy such solar magnetic coupling puts in compared to TSI and other sources is something I’m unsure of. But, it does indicate that the way the sun influences the earth, as per this and Svensmark’s work, is significantly more complex than just the TSI. Errr…make that 5×10^14 joules….what’s an order of magnitude or two among friends? Thanks for the link David. Most striking to me is Figure 10 at the bottom. Although I’m sure definition of GCM’s has improved in the last 8 years, it certainly appears most convection is hidden – no wonder Judith refers to it as the “biggest challenge” for the modeling community. Also interesting is their sureness of their understanding of water vapor feedback back then, even as they knew how much convection was buried in computational limitations. Interesting quote from Time magazine. Time had an issue Oct 1 2007 stating that the NWP was ice-free for the first time and that the elusive quest of many mariners had finally been answered in 2007. They made passing ref to the Hobie cat success. The photo on the front cover has been doctored and the article is a disgraceful example of telling the masses what the elite want them to hear. That is, that the Arctic is melting from AGW. As I understand it, the NWP is closed again today. I complained to the Press Council who refused to act, saying that the passge of vessels through the NWP, as per the many examples I gave them, was not the same as the NWP being free of ice. ??? So, with Time Magazine, watch out for photos that have been manipulated digitally and watch out for the conformist line. There is little discussion of this on the Svalgaard thread, which is where you comment should be. No news there, Ron. I know all about the PDO. Like any circulatory mode (ENSO, NAO, etc), it is not an ultimate source of heat comparable to an external forcing. It is merely a pathway through which heat flows – heat gotten from elsewhere. It makes no sense to try to attribute global temperature change to flux through a heat flow pathway vs. an external forcing, say. Its the medium vs. the message. Parasitic losses of heat through a pathway, now, thats a different story. Bender, given the huge possible ocean heat content storage, surely a change in ocean circulation that affects the amount of heat the oceans exchange with the atmosphere would be a significant effect? Such circulations would also presumably affect SST’s and WV volumes, which we know are significant drivers of climate, yes? Besides, GHGs are also not a source of heat either, yet are still considered a forcing. So, what’s a “forcing”, what’s a “feedback”, and what’s whatever else is left? surely a change in ocean circulation that affects the amount of heat the oceans exchange with the atmosphere would be a significant effect? Go ask Gavin Schmidt. I think it’s a good question. But what do I know. As Neil implies, it is certainly possible that multi-decadal ocean circulation cycles can expose the atmosphere to alternating periods of warming and cooling from below, but I don’t think the ocean effect is that simple. Even if we assumed that the average sea surface temperature of all the oceans did not change from one phase of the PDO to the next, it would still be possible that the shift of warm and cool anamolies would have a warming (or cooling) effect on the total atmosphere. As Roy eluded earlier, the PDO could produce a change in global cloud cover that could change the amount of solar energy reaching the Earth’s surface, thus changing the global surface temperature. It is not necessary to quantify this effect or completely understand the mechanism to glean the influence from the historical data. I think it is interesting that AGW supporters demand that the mechanism for the PDO’s effect on climate be fully explained before being included in the models, while not demanding the clouds and water vapor be fully explained before using them to generate a positive temperature feedback. There is more physical evidence that the PDO is responsible for about half the 20th century warming than there is that CO2 is responsible for even a quarter of the warming! You can only model what you know. And what you don’t know – well – that’s why they invented cautious interpretation. The “precautionary principle” has been revised to mean throwing THAT particular caution to the wind. I was already aware of the 20th c. voyages. The point of my post was that in the 1820s the ice was either melted enough or blown out enough for a 2-knot sailboat to almost make it to Pt. Barrow. In most years the ice made it impossible to get much beyond Hudson Bay, and in many years sailing ships couldn’t even get out of Davis Strait. The ice conditions are very variable and have almost no correlation with climate, at least on time scales shorter than a couple of centuries. A whale researcher I know tells me there is a lot of melting up there, where he has been visiting for about 30 years. I believe him. I just don’t think it means anything. re: 119, yes, Jim, that’s exactly what I was saying. A small change in the general circulation (e.g. the PDO) can lead to a small change in cloud cover, which then changes the radiative balance of the planet. This whole notion that Earth has been in a perpetual state of radiative energy balance until mankind came along is little more than a simplistic theoretical assumption. So, rephrasing my original point, any internal change in a radiative component that is not the direct and causal result of a surface temperature change (i.e., not a feedback) will corrupt any traditional feedback diagnosis with a positive bias component. Climate researchers need to stop pretending that natural variability can be ignored, because it leads to an error in climate sensitivity estimates that is NOT random…it is instead, a bias. Re #122 gavinraypierremike (the borg) would argue that the internal variability is not “ignored”, just that it is small compared to the external forcings. But no one ever backs their internal vs external assertions with auditible numbers. They would also argue that ocean fluid dynamics is a primary mechanism through which AGW heat is dissipated – that some of the flow through ENSO and PDO pathways is attributabe to GHG/AGW. That would it awfully hard to demarcate between internal vs external. #108 and #109, Both the Amundson voyage and the St. Roch voyages in the 1940s spent considerable time (weeks) stuck in ice. Furthermore, The St. Roch’s hull was specially reinforced against ice, and Amundson’s ship was extremely shallow draught. To call the conditions under which they made their passages “ice free” is ridiculous. Get your info from somewhere other than Newsbusters. Changing the PDO doesn’t change the radiative balance of the planet, it might change the temperature structure of the atmosphere though. You might want to rethink that one Phil. He is suggesting PDO influences ocean cloudiness which would affect the radiation budget’s balance. In 1940 the St Roch was sent on a mission to travel from the Western Arctic to the Eastern Arctic. The St. Roch completed the West to East voyage in 1942, taking 28 months to do so. For most of these 28 months the St Roch was frozen in. The St. Roch was the second vessel to traverse the Northwest Passage, and the first to do so from west to east. Upon her arrival in Halifax the St. Roch was given an extensive refit, giving her a larger engine, and a deckhouse, increasing her accommodation. The refit was completed in time for her to make the return voyage to Vancouver during the ice-free period, completing her voyage in less than eighty-six days. Not what he said bender. I provided links to Time magazine and AllThingsArctic, not newsbusters. Andrew provided links that had links to lots of media outlets. You provided no links at all. #128 Isn’t it? That’s what I took away from the paper, anyways. Maybe I was reading too generously. Changing the PDO doesnt change the radiative balance of the planet, it might change the temperature structure of the atmosphere though. #127 Eastword voyage took 28 months to go roughly 1,200 miles; Westward voyage took 84 days or an average speed a little under 1 mph. When they say “open” I think they mean something beyond that you’re able to inch your way forward in an armored boat. Are you ignoring the cruise ship that made the passage. What I find interesting about Roy’s argument (#122) is that it goes against the “low-climate sensitivity” talk by suggesting that the planet’s climate is inherently unstable, and not in “a perpetual state of radiative energy balance” as he puts it. Unless I’m really missing something, if the planet’s long time-scale variations related to ocean and atmospheric circulation (El Nino/La Nina, PDO, NAO, etc) are such that they self-sustain through their impact on the radiative picture, that means the whole ocean-atmosphere-climate system is moving through a series of locally stable, globally unstable points, rather than having a globally stable equilibrium point. And that means that any significant change (like the GHG increase) could have a much larger (and almost inherently unpredictable) effect than you get with the assumption of equilibrium. Now, I’m not sure I agree with that – the climate models, such as they are, seem pretty happy finding equilibria under conditions that seem to resemble reality. But if Spencer is right, things could be much worse. Strictly an ice-reinforced hull exploration vessel, M.V Lindblad (still doesn’t mean that the passage was ice free at the time). The total trip was 7000 miles which is an average speed of 3 knots if they travelled 24 hours/day (which they likely didn’t). This is reasonable considering that the St Roch had only had a top speed of 8 knots. Incidently, the NW passage was completely clear of ice for *only* 38 days this year. A slow boat like the St. Roch would have had to dodge ice even if they tried sailing the passage today. We did not have satellites in the 1940s so we will never know the true extent of the ice caps in the 40s. However, there is alot of data that suggests north american temps were the same as or higher than today in the 30s-40s. For that reason, it is unreasonable to assume that the current melt is more than what happened in the recent past. Debates about the NW passage are Iconic nonsense. ( temp record) for the slippery evidence ( ice). Warmist: the northwest passage is free of ice for the first time EVER. They are trying to create yet another icon. (YAI) The frozen version of the hockey stick. Question: did the GCM predict the opening of the NW passage? More later after the small fry snap at this. Get your info from somewhere other than Newsbusters. Not on your life, lib. Raven had best point about this, though. We don’t know if there wasn’t some point at which it wasn’t “ice free” during their voyages. I presume lib would rather I get my news from him. Gag. I think 7000 miles is something of an exaggeration also most of the journey would be in the open ocean, note that she had an uprated engine on the return trip. also the emergence from the ice of previously unknown islands supports that. What back-pedaling, wrong about what, concede what point, and shift what argument? The GCMS seem to find a lot of things. I think what is being said hear is the the climate system is capable of maintaining balance better than the GCMS give it credit for. The scientists observed less perennial ice cover in March 2007 than ever before, with the thick ice confined to the Arctic Ocean north of Canada. Consequently, the Arctic Ocean was dominated by thinner seasonal ice that melts faster. This ice is more easily compressed and responds more quickly to being pushed out of the Arctic by winds. Those thinner seasonal ice conditions facilitated the ice loss, leading to this year’s record low amount of total Arctic sea ice. “The winds causing this trend in ice reduction were set up by an unusual pattern of atmospheric pressure that began at the beginning of this century,” Nghiem said. However nowhere do they deal with the cause of the change in circulation so they’ve just shifted the discussion back a step. How long does it take for an ‘unusual pattern’ to become the norm? Eight years not enough? It would be rather simplistic to assume that the only effect of any global warming is to raise temperatures. Software problems caused the message to be misposted into the wrong thread. Please delete from this thread. Thank you. Why was my post in reply to Roy Spencer’s #74 removed? It was on thread? Is there a problem these days on this blog reminding people of the seven pillars of AGW temple, one of which is that GCMs must only contain only positive feedbacks otherwise the organisation that develops them will no longer contnue to be funded. This IMO was the gist of Roy’s point in #74, hence my reply to his post. Every true AGW believer knows that it is imperative to show that we are all in imminent mortal danger from the evil trace gas CO2. Of itself doubling it will only warm the planet by about 1K (thanks to the logarithmic effect of IR absorption). As Suki Manabe well knows, we only get significantly more than this level of warming by invoking positive feedbacks like water vapour and if you are Paul Cox, by claiming that the Amazon will dry up. A small change in the general circulation (e.g. the PDO) can lead to a small change in cloud cover, which then changes the radiative balance of the planet. This whole notion that Earth has been in a perpetual state of radiative energy balance until mankind came along is little more than a simplistic theoretical assumption. Roy is specifically stating that the climate is naturally *not* balanced. OK, is sounds like there’s some confusion about the way I see the climate system, and I know it is a little confusing. I believe the climate system is constantly out of balance, but in terms of climate sensitivity, I think of the sensitivity as being very low (the system is relatively stable). These seem contradictory, but they are not. If you hang a weight from a spring and perturb it randomly, it will bounce around an average state, constantly trying to achieve equilibrium, but always overshooting the equilibrium point. The system is always out of balance, but it is still stable. Maybe another way to view this is that there are positive feedbacks on short time scales that allow the system to depart substantially from equilibrium, but those positive feedbacks then flip negative, which then pulls the system back toward equilibrium. The behavior then looks like oscillations. This view is supported by our August 9 GRL study, where the tropical intraseasonal oscillations initially had increasing cirrus coverage during warming (a positive feedback) which then switching to decreasing cirrus coverage (negative feedback). Well I’ll be darned. Even the head disaster meister amongst the modelers admitted it. This is more than plausible. It is probable. I have 90% confidence Roy Spencer is correct. I have always believed that many solar cycles of various durations acting in concert are the only significant climate forcing. We need more signal analysis and less GCM’s to understand climate change. Systems can stable to small perturbations but unstable to large ones. Instead of thinking of a pendulum, think of a ball on a hilly terrain. The current climate could be thought of as the ball stuck in a particular fairly nice attractive valley. Small kicks, or even no kicks at all, could cause it to oscillate around a stable point. A very large kick, or push could result in reaching a peak and then dropping over the top. What happens afterward you reach the tipping depends on the terrain. Anyway, the impact of CO2 could effectively be a large kick, particularly as it’s sustained in a way that a single volcanic explosion is not. As to what GCM modelers think… I don’t know. Correction on Roy’s paper – figure 3 and 4 are missing, not “or”! Could somebody post them here? On Roy’s #149 – the spring analogy and your talk of “oscillations” suggests you see the climate system as underdamped (ie. close to linear for some eigenmodes?). Wouldn’t that show up as oscillatory responses to major delta-function perturbations, like Pinatubo? I thought the issue you were raising with regard to PDO, NAO etc was rather that the climate system was highly non-linear and governed by local feedbacks that leave each state metastable (and temporarily out of radiation balance). Your model does look simple enough to give a better picture of what the major issues are; I’ll take a closer look. Yes, I think of the climate system as similar to an electronic oscillator constantly transitioning between the rails. There is positive feedback which allows the oscillation, but strong negative feedback at the extremes, applied by the power-supply limit. The clouds are probably the most likely candidate for the upper limit to temperature, but it is not clear what stops the temperature from continuing downward. One possibility is that the albedo changes from glacier formation form a major positive feedback mechanism, but the glaciation eventually encounters the tropics, where it ends. regarding Figs. 3 and 4 in our paper…they are indeed there (I can see them), but I believe those last two figures are encapsulated postscript format (.eps). They can take several seconds to render on your screen. If they don’t show up, try printing out those pages…they might show up then. All figures render properly on my Mac using Word 2004. RE: #157 – Geological / paleontological evidence would suggest that so long as CO2 in the atmosphere is about 200 PPMV or better, it would prevent anything worse than an ice age from happening. I believe the “evil satanic gas” is actually our salvation at the low end. Need to monitor this sequestration business with vigilance. I’m interested on how this might figure in with irrigation. For instance, almost the entire flow of the Colorado river now travels over the US as humidity, instead of into the ocean as it did about 100 years ago. The effect of irrigation might appear as a negative or positive effect, depending on the time frame we focus on. I grep-ed the IPCC report for the word irrigation and I never found irrigation eliminated as a confounding effect. real climate takes a stab at it and says “…it is a feedback and not a forcing”. Is this the same issue from a different angle? Well, Phil, do you have a model which predicts that AGW will cause circulation pattern changes? You can’t just attribute every little change in the weather to climate change. But I agree. This could be an effect caused by climate change. But it isn’t melting for the reason often stated, that it’s hotter. That’s the point. Anyway, don’t you remember when I said I want to be an engineer? Reduction in acrtic sea ice was a major surprise to Hansen and the GCMs (don’t recall the paper, but could dredge it up). Not predicted at all. (Yes #142, wind always plays a role blowing the ice to the East (citation). The melt observed was over and above that effect.) There appears to be something strange happening in the Arctic ocean, consistent with Phil’s “a substantial cause of the warming is likely to be warmer water due to the higher heat content”. My question is where the heat came from. The Pacific? Is this why the “PDO” has “gone negative”? Maybe the PDO as we knew it no longer exists. If so, why? CO2? Last decade’s solar? RC denies the latter. Andrew, don’t take exception to Phil’s #145. It’s good advice for everyone. Please erase 166 when you have a chance. I wonder how GCMs can explain ancient climate shifts, and I wonder why climate optima are called optima? For example the Eem warming period seems to have been 3 degrees warmer than today. What do GCMs say about cloud cover during those periods? What happened during the end of the last glacial period (ice age) 10.000 years ago? Have there never been sunny days during the glacial periods. Has it become warmer during the interglacials, because the clouds disappeared suddenly? The same question for the “little ice age”? We could experience very warm “and sunny” days in winter 2006-2007. How was that possible? This year every sunny day means frost. During the summer 2006 we had a very long sunny period from june to August, and it was warmer than ever before. It seems to me that changing weather conditions have a much bigger influence on the climate, than we are told. So again my question: What do we know about cloud cover during an ice age (glacial period) compared to cloud cover during a warm period? Somebody explained in this thread that an “El Ninjo” could not create heat, but it could have been carried from somewhere else to the climate system?! Does Co2 create heat? What about the monthly global temperature records? How can (for example) an october be the warmest month ever on record, when the following january is the coldest during the last 30 years? Where hass the heat gone? Do we really know anything about radical climateshifts, like the beginning of a warm period or a Dansgaard-Oeschger event? If every climate is made of exact forcings, what are these forcings that produce a climate shift? Where are they gone, when Co2 comes into the play 1000 years later? We read about tipping points! Are they real? Do GCMs explain tipping points? I believe that Co2 will affect the climate, but how could we ever know why, when we don’t understand big climateshifts at all? This is a basic reason, why I am sceptic to global warming theories. If we are not even sure, if the medieval warm period was really warm, and the little ice age really cold, what do we know at all about natural climate changes? Best regards and sorry for the long posting in bad english!!! At the end of the ice age what was it that started the journey out of it? At what point are we out of it? Are we are out of it now or are we still on the way out of it? At what point will we know we are out of it? Your post reminded me of a news item I came across before Christmas suggesting that Greenland might be warmed by underground magma. Although further South it struck me as interesting that Douglass et al made a similar comment about Iceland in a paper in 2005, although Bjornsson et al later the same year disagreed. SS, #160, does it get cold enough that the sun and the biosphere stop sequestering carbon at a rate to deplete it? With a cold(dry?) world, the CO2 would have a greater GHG effect, and that, with gradually increasing insolation, may bring the earth out of a freeze. I’m adrift in a sea of ignorance, but the carbon cycle is too little understood to guess at the true effects of carbon. Also, when you’ve driven most of the CO2 out of the atmosphere, the sensitivity to any increase is high. #170, JohnB UK, the stork bringing that baby home from Greenland is of the Jayhawk variety. The clouds are probably the most likely candidate for the upper limit to temperature, but it is not clear what stops the temperature from continuing downward. Yeah, that’s a question I have too. Some ice-cores show a massive increase in atmospheric dust (soil) at the glacial max just before interglacials occur. Dust-coating decreasing the albedo of the ice-sheets? Or some oceanic current shift? I dunno, but the current interglacial did start just when summer solar radiation was a max in the N hemisphere (from orbital eccentricity), so I doubt that’s a coincidence. Very interesting. Could you explain how to deal with multiple inputs and outputs? In terms of partial differentials we know that forcings can also become feedbacks and without a good model (as many have pointed out above) it is hard to tell what is what. Some of the inputs are independent – solar output, cosmic rays (and even cosmic rays may have a feedback relationship with solar output – it is also not impossible that cosmic rays may affect solar output). Some are not – water vapor transport, temperature, ocean circulation etc. How do you separate all that out? And then you get a model fit to past data. Don’t you then have to look at accuracy of prediction to verify the model? How do the models treat aerosol effects on cloud formation? The world has warmed before, but never fried. The world has frozen before but has warmed again. The world has seen much higher levels of CO2, and they have dropped again to lower levels. Once again, we are in an interglacial having come out of an ice age. Are we out of it yet? If not, how de we know we’re not and when will we be and how will we know we are? RE: #177 – There are some who would suggest that current and expected levels of atmospheric CO2 have defeated or will soon defeat the ice, leading to a an everlasting interglacial. Now how likely is such an outcome, in reality? NIWA’s data for November 07 has the average temperature for Taranaki , New Zealand at 1C below normal but sunshine hours 127% of average. I could have told them this without the data. It’s not the heat that causes the snow on Mount Taranaki to melt early but the sunshine hours. ie: lack of cloud cover. Overall figures for NZ for 2007 show no warming, skight cooling. But they’re gonna tax us anyway just in case! NIWAs data for November 07 has the average temperature for Taranaki , New Zealand at 1C below normal but sunshine hours 127% of average. I could have told them this without the data. Its not the heat that causes the snow on Mount Taranaki to melt early but the sunshine hours. ie: lack of cloud cover. Overall figures for NZ for 2007 show no warming, skight cooling. But theyre gonna tax us anyway just in case! Governments always find a way to increase taxes, so eternal vigilance is required. As Maggie Thatcher said, the government is us (well, some of us). I’ve finally had a chance to read through Roy Spencer’s paper (had to copy it to a Windows machine to get a pdf with all the figures and equations!) – it seems quite sensible and a nice result. What I had misunderstood was the talk about turning a correlation between temperature and cloud-cover into a feedback number. I had thought the issue was looking at the long-term trend in cloud cover vs. the long-term trend in temperature. And that didn’t make sense with the talk about random variations affecting things, because over the long-term those variations average out. But what they’re doing is looking at instantaneous temperature-cloud cover correlations (or actually, instantaneous temperature-SW radiation correlations, essentially the same thing in this model). And clearly, random variations in cloud cover acting as a *cause* of temperature variations would show up as a (positive feedback) bias in those correlations. This spurious bias should go away if you average temperature and SW radiation *before* doing the correlation. At least if you average over a long enough sampling period. While the true feedback effect should remain. Effectively by doing that average you should be traveling leftward on the curves of Spencer’s figure 3 (the temperature variations caused by other factors remain the same, the random cloud variations diminish with the averaging) and getting closer to the true feedback number. So the question: has anybody tried doing this with the real data? Arthur, you are misunderstanding something that is important. Random daily fluctuations in radiative forcing (e.g., in low cloud cover) cause LONG TERM variability in ocean temperatures….not only year to year, but decade to decade (see Fig.1 in the paper). This kind of behavior has been known about since at least the mid-seventies. This is evidenced in Fig. 2 by the fact that each dot in that figure represents an ANNUAL average anomaly. I know is seems counter-intuitive that daily random radiative forcing can cause long-term variability, but it’s related to the fact that the ocean retains a “memory” of the forcing from previous days, due to it’s large heat capacity (as I recall, we used only a 25 m or 50 m deep swamp ocean). It’s an important point, and I fear that a majority of “climate experts” don’t even know it. Sought by explorers for centuries as a possible trade route, it was first navigated by Roald Amundsen in 1903-6. However, unless some one has studied it there is no reason to believe that warming is the cause either. What we have now is just another uncertainty. Widen the error bars. An integrator in a control system is used to damp out fluctuations. It all depends on the system gain. If the gain is too large you get rail to rail oscillations. The gain over long time spans may be large enough (or there may be other causes – Malankovich? cycles). However, we do not see such swings over shorter periods (except the 10,000 year, 100,000 year transitions). So it is quite likely that for shorter time scales the integrator damps fluctuations. In any case the question is. Can the models tell us why the climate transitions to cold and then warm periods? If not then it is most prudent to act as if we are headed into an ice age – why? Well growing crops under ice is not a form of agriculture humans are adept at. Growing crops under water? We have some experience. We have been in a warm period for 10,000 years. What is to say that that is not coming to an end? My opinion is that we have very little real knowledge of what has caused past climate fluctuations (multi-decadal scale and longer). There are so many potential reasons, and we have so little data, I personally don’t think we’ll ever figure it out. But then, since the paleoclimatic researchers don’t really have to deal with verification with real weather observations, any of their theories can be put forth with as much vigor and certainty as their community wants to muster. In my view, the same can be said about global warming theory. And that didnt make sense with the talk about random variations affecting things, because over the long-term those variations average out. It is found throughout nature (including climate), particularly with respect to complex, coupled non-linear systems and can result in systems which are inherently unstable yet exhibit low sensitivity to external forcings. It is very well documented as part of the hydrological cycle (think water vapour, think precipitation, think clouds). It seems to me to tie in very elegantly with Dr. Spencer’s work. Bet you won’t see it discussed in any IPCC SPMs though! It implies unpredictability, which is not good when you’ve got to sell the value in science. All good, interesting stuff as always, keep it up folks! Spence_UK #187 I would like to see this “hobby horse” of yours addressed too. Perhaps I should follow your model and go back to lurking for a few months. But it’s tough. Hurst is so interesting. And non-ergodicity of climate and of GCMs is, I think, novel territory. If LTP is due to a solar-ocean-cloud interaction, well it ain’t in the GCMs, it ain’t in the statistical models of GCM ensembles, and it ain’t in the AGW theory. And discussion of it ain’t allowed at RC. Roy Spencer (#182) – yes, I realized my mistake shortly after I posted that, when I was looking at your figures 1 and 2 again. I need to think about your model some more. What is it that fundamentally gives such long-term correlations? That doesn’t sound like your underdamped oscillator, it sounds like real nonlinearity effects. Nevertheless, it looks like the autocorrelations in temperature do die off (perhaps with a long tail?) after several years. I’d be interested to see how your graphs change if you plot 2-year, 5-year, 10-year averages of SW vs temperature, rather than just 1 year. If the process is nonstationary the estimated autocorrelation coefficients (they are estimates!) are badly biased. A simple damning fact about long-term persistence processes. I know is seems counter-intuitive that daily random radiative forcing can cause long-term variability, but its related to the fact that the ocean retains a memory of the forcing from previous days, due to its large heat capacity (as I recall, we used only a 25 m or 50 m deep swamp ocean). Its an important point, and I fear that a majority of climate experts dont even know it. It is not counter-intuitive to me. I have been testing the men at RC over the holidays for their ability to understand this, and so far they have failed. As unlikely as it seems, perhaps they are in some state of denial over this possibility? My arguments have been less than convincing to them. However this is to be expected, as I do not use the specialized language of the climatologist. Kleme (1974) proposed an explanation that may be classified in the first category. According to this, the Hurst behaviour of hydrological records can be explained by representing the hydrological cycle by a circular cascade of semi-infinite storage reservoirs where the output from one reservoir constitutes an essential part of input into the next. He showed that, even with an originally uncorrelated Gaussian forcing, the outputs grew progressively more Hurst-like with an increasing complexity of the system, e.g. with the number of reservoirs in the cascade. Of course, conservation of energy need to be taken into account, so input power plays a great role here. Where can I find daily global mean temperature data, BTW? Unfortunately, these temperatures represent the most robust daily global averages that one can get from present satellite measurements of any quantity. All others (e.g. cloud observations, SW and LW radiation parameters) have a lot of sampling noise at daily time resolution. Why is there such a large divergence between the TLT and RSS data in the SH during 2007? we think (but are not sure) that RSS’s diurnal drift correction for the NOAA-15 satellite’s AMSU instrument is too strong. It’s interesting that their trend has always been a little warmer that ours, and now it is cooling faster than ours. We don’t produce an MSU3 product, because there were serious calibration drift problems in the early years of the satellite record. Maybe Mears and Wentz at RSS have a product…I don’t know. re 192. Hurst fans unite. Anyway, give enough power for the (daily, uncorrelated) input, and put it trough a complex system with with delays and gains and feedbacks and energy reservoirs, and this kind of output is easily obtainable. Re #197 Thanks. I checked with RSS and they have none. The paper in #192 is an interesting one, by Prof. Koutsoyiannis (who else? ), a few months ago I was working through some of his back catalogue and it has changed my views on a few things. I used to take the view that the self-similarity evident in climate was a by-product of chaotic behaviour; chaotic systems tend to exhibit such behaviour and become less predictable at longer time scales (i.e., scale averaging has no power over the exponential error term from initial conditions beyond a certain scale; note this is a separate issue to the “butterfly effect”, and has more to do with the tendency of phase transitions in chaotic systems to cluster). This seemed to me to tie in well with common understanding that weather was chaotic. I’ve changed my views having read some of Dr. Browning’s work here and Prof. Koutsoyiannis’ work on the NTUA website. Both of these people were stating that there is no proof that weather is chaotic, and indeed there is no requirement for chaos for self-similar behaviour of weather or climate systems. What interested me was that they seemed to be reaching similar conclusions from very different approaches (Dr.B from an analytical viewpoint and Prof.K. from a statistical viewpoint). What it shows is that self-similarity and the Hurst phenomenon can occur naturally from relatively simple systems, as noted above. There is no need to invoke chaos (although chaos remains a plausible, albeit unproven, explanation for the scaling behaviour of weather and climate). (Click on “presentation” if you get the abstract). It is a statistical demonstration of how scaling behaviour can be derived from the principle of maximum entropy (I did link this on Dr. Browning’s thread, although I was dragging it somewhat off topic!). This, in combination with the multiple reservoir example, show how easy it is for power law scaling behaviour to occur entirely naturally in climate. (The ME example doesn’t apply directly to temperature, as temp variability is small wrt mean – you have to measure in Kelvin for the assumptions to be valid, but can be applied to many hydrological processes which will leave a fingerprint on temperature). With respect to UAH vs. RSS temperature data sets, Jim, you may be interested in this article at RPSr’s place, which has a discussion on a third party analysis of the two temperature sets. It is very similar to the capacitor soakage problem in electronics. If you hold a capacitor at charge for a long enough time (tests use 1 hr as a standard) shorting it out for 1 minute will not fully discharge it. in fact “discharged” capacitors of significant enough voltage and capacitance can retain a lethal charge for a very long time. I have brought this fact up here in similar contexts before. This is not unknown behavior. Just unknown in the context of climate science. we think (but are not sure) that RSSs diurnal drift correction for the NOAA-15 satellites AMSU instrument is too strong. Its interesting that their trend has always been a little warmer that ours, and now it is cooling faster than ours. Well some of the ‘corrections are rather ‘ad hoc’, also according to UAH documentation ‘your’ trend has been anomalously high of late. Ok, I’ve looked in some detail at Roy Spencer’s model, described in the appendix to the paper posted here. Still some things I’m not sure on – i.e. what is T_cld? I assumed it was halfway between T_u and T_l. What value of ‘c’ (difference between T_u and T_l) was used? I took a stab with 20 K… What actual “beta_sw” values were used in section 3.2? The units should be K^-1, so don’t correspond to anything plotted in figure 3 directly. And I’m assuming the evaporative feedback number in A.5.b (the value 2.2) is in units of W m^-2 K^-1 ? Diagonalizing the matrix there are two real eigenvalues – -18.3 year^-1 and -2.1 year^-1, representing two main relaxation processes in the system, one quick, and one relatively slow with a roughly 1/2-year time constant. Now maybe I’ve missed something important here. After all one of the central issues in the paper was the response to “cloud noise”, which isn’t described by any of the equations there. I’m assuming the implementation of “cloud noise” was as a variation in the f_sw0 value. This has the effect of changing the energy balance so the stable T_s0 and T_l0 would change – but is it correct this noise was introduced as a daily random quantity with no correlations? Did you confirm the randomness of your noise distribution in any way? In that case it seems pretty clear that, just as with a random forced T_s change, the response of the model should be a decaying return to stability; the net effect after some time of the cumulative “noise” events would be just their sum scaled according to the exponential of the product of the time constant (-2.1 year^-1 for instance) and the elapsed time. In other words there’s no significant nonlinearity or chaotic behavior in this model, it’s a straightforward decaying response. No oscillations either. So then, what could possibly explain the long-term correlations in the graphs (figures 1 and 2)? OK, since you have decided to delve into the model, I’ll mention that both reviewers of our paper noted that the same concepts we were demonstrating can be shown with much simpler models (that don’t have energy fluxes in and out, but a single flux divergence). T is not the absolute temperature, but the temperature deviation around an average equilibrium state. The equation basically says that the change of temperature with time is directly related to a noise heating term, and a feedback on the temperature. I run this model in an Excel spreadsheet at daily time resolution. N is daily noise in W m-2; fb is a feedback parameter in W m-2 K-1, nominally -3.3 for no feedback (-3.3 W m-2 K-1 is the “Planck effect” value, the enhanced IR cooling that results from a warming of 1 deg C. You can use -2.2 for a value if there is a 1 W m-2 K-1 positive cloud feedback, or -4.3 for a 1 W m-2 K-1 negative cloud feedback). As you can see, long-term variability can be caused by random daily heating fluctuations. It can be warming, cooling, or flat. BTW, the noise was adjusted until the standard devaiation of monthly averages in SW variability equaled about 1.2 W m-2, which matches what we see from the CERES instrument on NASA’s Terra satellite. Now, when you regress 90 day averages of the T and SW variations, and interpret the slope as a feedback (which everyone is prone to do), you get a number close to what was specified for fb (here we used -3.3), but with the WRONG SIGN. Or, if you specify fb=-2.3 (positive cloud feedback of 1 w m-2), you get close to the same value, but again with the wrong sign. The behavior gets more complicated if we add another forcing term on the right side of the equation representing a non-SW source of T variability that the feedback can work on…which is probably what happens in th real climate system…and in that case the diagnosed slope gets closer to the true specified feedback value. I hope what I have shown is sufficient enough for you to understand the basic behavior of this simple model, and for you to appreciate how something as simple as daily random variability in cloud coverage can totally screw up our interpretations of feedback from observational data. …a followup…the reason why you get low frequency variability from daily random forcing is the same as a “random walk”. The model ocean retains a memory of the cumulative heating that has happened before. If you happen to get, say, 4 or 5 days where the random heating number are all positive, it starts an anomalously warm period that can last man months until you get (say) 4 or 5 days where all of the random numbers happen to be negative. And as noted earlier in this thread by Spence_UK, H. Hurst was probably the first one to describe the basic phenomenon, which was in the context of reservoir storage of water from stochastic rain event. the reason why you get low frequency variability from daily random forcing is the same as a random walk. The model ocean retains a memory of the cumulative heating that has happened before. If you happen to get, say, 4 or 5 days where the random heating number are all positive, it starts an anomalously warm period that can last man months until you get (say) 4 or 5 days where all of the random numbers happen to be negative. In which case if you plot the displacement^2 vs time you should get a straight line. Roy – thanks for the response and the even simpler model! But this is only a “random walk” on short time-scales. Once you get beyond the basic relaxation time of the model, all the old “memory” gets exponentially washed away. So in my view the lesson is simply – you can’t take these averages at time-scales less than that relaxation time or you’ll get bogus results. But take the averages over 3 or 4 times the decay time and it should be fine. with decay constant fb/cp. That means any given disturbance in T will decay away by a factor of ‘e’ in the time (-cp/fb) – that’s 365 days for fb = -3.3, 280 days for fb = 4.3, and 523 days for fb = 2.3. If you’re going to do averages for significantly shorter periods of time then you might as well set fb to 0, where all you have is a true random walk with no stable temperature. By the way, presumably Earth’s systems respond to disturbances with decay modes of this sort – do we have good estimates for their time constants, or is the real Earth too nonlinear to pull that sort of thing out? But I would like to confirm that with some computational checks of my own. More later! You have brought up a point that we had not thought about before. So, if you change cp from a 25m deep ocean to 250m deep, the relaxation time is more like 10 years, right? Yet, climate people use seasonal variability to estimate feedbacks. I’ll talk to my co-author about adding something to the paper about your relaxation time issue. Thanks. For those not heavy on the math. In one relaxation period about 35% of the effect remains. In 3 relaxation periods only 5% of the effect remains. In simpler terms: if the random walk has a “direction” due to a few consecutive moves in the same direction over some short span of time, about 35% of that direction will remain in one relaxation period and only 5% of what at first appeared to be a direction will remain after 3 relaxation time periods. To eliminate the effect to a degree commensurate with our ability to measure it you would have to average over 3 or 5 relaxation times. If there is also a known cyclic period to the forcing (sunspot cycles) you would want to adjust your averaging accordingly. On top of that given sunspot period variability you might want to change the averaging period according to known sunspot cycles. Minimum to minimum. So you might average over 30 years in some segments of the data and 35 years in other segments. What you do about a Maunder minimum is????? Preface 1: How Could So Many Climate Modelers Be Wrong? Andrew, I have excerpted what I believe does a decent job of summarizing what Roy Spencer’s derived thesis is from the link that you provided. I find it a very thought provoking alternative view to convential thinking on climate change but not a finished product. I think Spencer’s model can obtain temperature changes of the magnitude of those in the modern day warm period without invoking PDO/ENSO. Applying his model to PDO/ENSO seems (on my quick read) more like confirming or at least giving evidence for them as internal variations. I think this closing statement is an important summarization of Spencer’s thesis vis a vis the conventional theory. While it might be argued that the mechanism proposed here is speculative, it is also speculative to assume that the radiative flows of energy in and out of the Earth system are stable to much less than 1% of their mean (of about 235 W m-2) on multi-decadal time scales in the presence of known modes of internally generated climate variability. Here’s a recent Powerpoint from Roy Spencer ( link ) . It includes some recent, unpublished results on cloud cover (though the period covered is quite short). Does anyone have comments on this paper and explain how it relates to Dr. Spencer’s research? It appears they are coming to exactly opposite conclusions based on the same satellite data. Re: Raven (#215), Raven, I have not read the paper but based on the abstract I wonder if what they measured was the global atmospheric response to ENSO variation. That ENSO response may not be representative of what happens in AGW. The paper does not appear to have taken into account the rise in cloud cover which others (Spencer, Lindzen) have proposed as providing negative feedback. It thus does not appear to address the Spencer work, or counter it, of course. Re #216 Strike my #216 – I need to read their paper first.